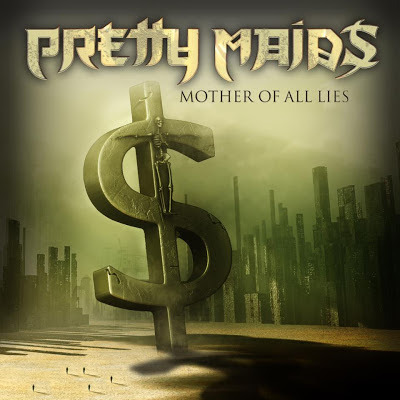 Rock & Metal 4 You: PRETTY MAIDS present their new single "Mother Of All Lies"
PRETTY MAIDS present their new single "Mother Of All Lies"
The Danish melodic metallers of Pretty Maids are about to release their new single "Mother Of All Lies" on January 22, 2013! Click on the cover artwork to listen to a snippet of that song. It's taken from the forthcoming album "Motherland", which will be released in spring 2013 via Frontiers Records. There isn't a final tracklist yet, but here are some songtitles: "I See Ghosts", "The Iceman", "Why So Serious", "To Fool A Nation", "Motherland". So what can we expect? A dose of great heavy guitar riffs and superb hooklines!